I'd like to thank Brigid for sharing her incredibly inspiring story of how clean eating is healing her from the inside out, combating her autoimmune disease. She could be living a very different life at this very moment if she hadn't been told about what Paleo can do. Finding the Paleo lifestyle can make a huge impact on people's lives. This is one of those stories..."My Health Story" -Guest Blog Post written by Brigid. I've never had a problem with my health, eating, or food... at least not until just recently. I went across the country to begin college in sunny Florida. This was a big step for me, as I have never lived outside of my Midwest state. I quickly began to really love my school and the friends I was making... not to mention I could take a mid-day tanning session by the pool in between classes. School was a breeze for me. My professors were fantastic, classes were interesting, the campus was always sharp and neat thanks to the awesome groundskeepers, Student Life put on some sweet events, and the cafeteria was always the best place to socialize. Now, if only the food there was just as great as all the other things I listed. Actually, I didn't quite mind the meals we were served (let's face it, nothing compares to high school cafeterias). But the fact of the matter was, once I began school and becoming involved on campus and feeding my body the mysterious cafeteria meals, I began to really feel out of sorts. I had frequent stomach aches and embarrassing gas (and embarrassing gas I would hold in that would cause a stomach ache..a vicious cycle, lemme tell ya!). But I endured and just blamed the food for my tummy problems. I still had the energy to make the most of my freshman year and get good grades. Summer came and went too quick back at home, and before I knew it, I was back down in Florida. By Thanksgiving break of my sophomore year, I was complaining to my dad that I was having irregular bowel movements (I'll spare you the super explicit details). My dad brushed it off and told me it was probably stress and too much coffee intake. But then Christmas break came up and I sill wasn't getting better. So we made an appointment with a gastroenterologist and I had my first ever colonoscopy just a few days after celebrating Christ's birthday. The news I got was not great, but also not terrible. He said I has a mild form of Ulcerative Colitis, an autoimmune and inflammatory disease that affects the large intestine (the colon). I must have been in a bit of denial, because I never once let it bother me. Instead, I just took his advice to stay away from lactose and from there I was on my merry way back to school where all my friends were and where the sun was (Florida definitely began to spoil me... the winters up north just were not my cup o' tea anymore). It wasn't until that next summer (August 2013) that I was rushed into the ER with excruciating abdominal pain. A week prior to going to the ER I was in bed with stomach pains, rushing to the bathroom nearly every hour, and when my parents saw I couldn't keep any food or drink down I was brought right in. It was a tough 5 days being admitted and not knowing what was happening to me. I felt like I was constantly getting blood drawn to be tested. I was on a liquid diet to calm my stomach, and pumped with saline to hydrate me. My nurses were so kind and helpful during this time. They helped me to understand what the doctors were explaining. I was told that I went into a "flare" from the Ulcerative Colitis. I didn't even know what a flare was..but apparently it's common with inflammatory diseases. "There's absolutely nothing you did wrong," the doctor would say. "There's no way you could have prevented this." I have heard this over and over again. And you know what they say about when you repeat something over and over, you can begin to actually believe it? Well, that's what happened to me. I trusted the doctor when he loaded me with anti-inflammatory drugs and a large amount of steroids and sent me on my way. After all, he was a specialist that knows all about this disease and how to treat it, right? Who could argue with that? That next month I left for Italy. Wait, what?? Yes, Italy. I studied abroad my junior year and in my carry-on were all my prescriptions (which I would call my "daily candies" to my abroad buddies). The semester was a dream that ended too soon over there. Although I've been avoiding lactose mostly up until that point, I definitely made room for gelato. But little did I know, all of my pictures in Italy definitely made it look like I was enjoying a bit too much gelato. The doctor failed to mention a side effect of the steroids was the trademark "moon face." Great. Now all that my pictures prove to my family and friends back home is that I'm scarfing down pizza, pasta, and sweets the whole time.. instead of actually walking EVERYWHERE and eating relatively healthy. 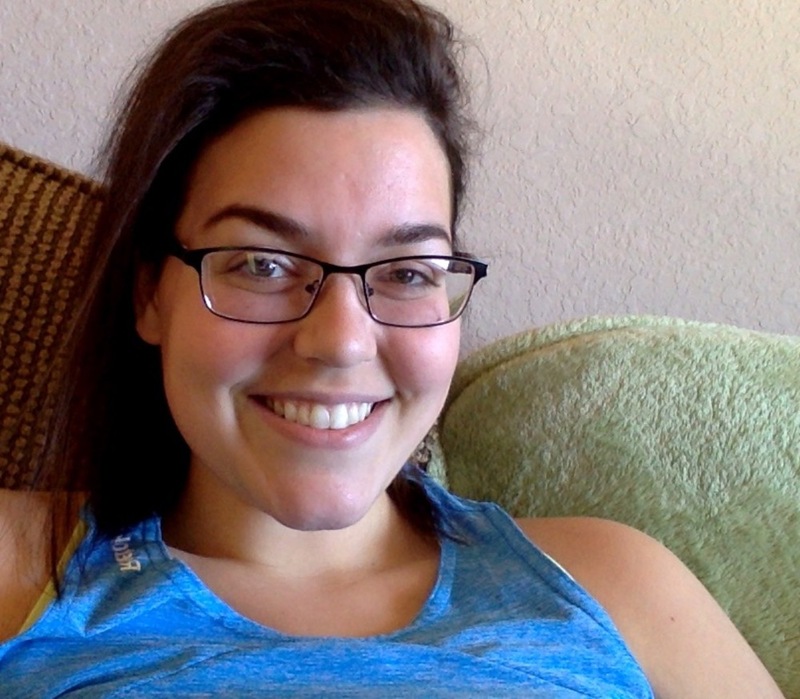 I was mortified with how my body was reacting to the side effects... and I took for granted how I felt pretty great compared to the month before. As I said, studying abroad was a dream that ended too soon. I was back in the states by mid-December 2013 and I was just barely finished tapering down on the steroids, thank goodness. (Although, now it is a goal of mine to get back to Europe and retake all those memorable photos and not look like my swollen self). I went back to school that Spring to finish off my junior year. The last few months of that year were pretty tough on me. I was getting stressed with papers and exams, there was the typical girl drama I help friends deal with, and I just really wanted to go back to Italy where the classes were much easier and homework was a joke. With all these things happening, I barely noticed that my upset stomach and gas was back again. I just attributed it to the school food, like before. When May rolled around and I flew back home, I was ready to get into the normal routine and begin work. I pushed through and was motivated by the money to look past the frequent restroom visits and side pains. But when the 4th of July came by, I could barely enjoy the fireworks with my friends and a cold beer. I was hospitalized just days after the celebration. It was like deja vu of the summer before. Except this time, I was admitted for close to two weeks. And trust me, that feels like a lifetime in there. More tests, more blood drawn, more solid food (just kidding, liquid-only ughhh), more CT scans, another colonoscopy, x-rays, and even more blood drawn. I kid you not, my arms were pin cushions by the end of that stay. But I found out what was truly happening to my body. I got out of denial and listened to the doctor and the severity of my disease. I cried one too many times when I was told there's nothing I can do to prevent it and the only "cure" was to completely remove my colon surgically. No way, no how! You're not taking out my colon! Give me anything to help the pain, start me on more treatment, ANYTHING to help me beside taking a large part of me away. I ended up having to take off the semester from school, which was very upsetting for me. It was my senior year and I would be missing all of my close friends during the best time of our lives. But I was also very grateful to be able to spend time with my family... after all, going so far away for the past 3 years was hard at times and I was glad I'd be near my doctor and my parents during this scary time. But when I was released from the hospital with a new treatment of medication and even more steroids this round, I was only able to lay in bed all day. I was so weak, down 40lbs, popping pain killers every 6 hours on the dot, anemic, and sleeping 12-15 hours a day. My mom would feed me in bed and try her best to motivate me to move around the house so I wouldn't get sore. It was the hardest time of my life... and it lasted close to 3 months! It was exactly a year after my first flare, but I didn't seem to be progressing or getting any better even though I was being treated exactly the same as before. There was still constant pain, I was fatigued even though all I seemed to do was sleep, I didn't eat much, and I wasn't gaining weight. It got to the point where I actually would cry to my parents, "please, just get me an appointment for surgery! I don't want to deal with this any more!" My parents could tell I was in so much pain. Pressured to make me feel better, they got me an appointment to get my colon surgically removed. Now, I did a lot of reading up online, I visited a specialist, and I talked with the surgeon... honestly, removing my colon sounded like a dream. I wouldn't have to follow any specific diet (up until that point I was avoiding lactose and I was on a low-fiber diet to calm my stomach), I wouldn't need to worry about bathroom visits, and I could live a relatively "normal" lifestyle. Just visit google and read people's stories they share about getting their colon removed, they explain how it was the "best decision they made." November 6th, 2014 was the date set on my calendar. I was full of anticipation, happiness, and worry all at the same time. After all, there's no going back when you decide to remove a part of you. And my mom knew that. Just mere days before my appointment, she begged me to just go out with her to lunch with a friend of her's to listen to what her friend had to say about turning to nutrition for healing. I resented my mom for wanting me to go that route. After all, all I wanted was immediate relief from my pain, and the only possible way for that was going under (although I never really thought about the recovery time..figures!). But I gave her a chance and I went to go visit her friend in a coffee shop. I tried my best to stay open minded during our conversation that afternoon over some tea. My mom's friend arrived fully prepared with about 7 books of literature about health and nutrition, along with some cookbooks. She gave me her testimony and said I was in her prayers, which I really appreciated. But truth be told, about the whole "nutrition" part of the conversation, I just wasn't sold on it. I did give it a try though. We bought a grain-free, gluten-free, and lactose-free cookbook from Books A Million called "Against-all-Grain" by Danielle Walker. I was in for a pleasant surprise. The intro to the cookbook gives Danielle's backstory and why she decided to write this book. SHE HAS, BASICALLY, THE SAME STORY AS ME. Haha, okay not exactly the same... but pretty darn close! Anyway, this "Against-all-Grain" book was my saving grace. I began to follow some simple recipes (I've never cooked before in my life aside from Kraft mac-n-cheese on the stovetop and throwing a frozen pizza in the oven), I cut out grain, gluten, lactose, and legumes completely so I could see if I would feel any better. And I did. (Again, I'd like to state I have a big respect for modern medicine and healthcare, and I wouldn't have gotten any better if it wasn't for the iron infusions I received to help me gain energy and the steroids I took daily). I began to get out of bed more and doing chores around the house. I would watch my baby nephew during the day when my mom needed to run errands, and I would be able to climb the stairs without being completely winded. And my favorite accomplishment was that I didn't need to take any pain killers! I honestly believe I was becoming addicted to them, so cutting them out of my daily routine was a wonderful feeling. Everyone is different and so is their bodies. You only have to listen to what your body is telling you. But I'm telling you now, since I cut out all those different types of foods, I can notice almost instantly how my body reacts to something that it's sensitive to. I wasn't able to do that before. It takes time and effort, but in the end, it's completely worth it!I can say now I am finally done with my steroid tapering, and I'm using nutrition and real-food to help me heal from the inside out! My long-term goal is to be completely medication-free and rely on clean habits to keep me from entering into another flare. But just like all good things, that takes time. Thank you so much for reading this inspiring story about this courageous young lady. I hope you share it with someone who it can help, as someone did for her. Hi friends! I'm Shannon and WELCOME to my health + lifestyle blog. 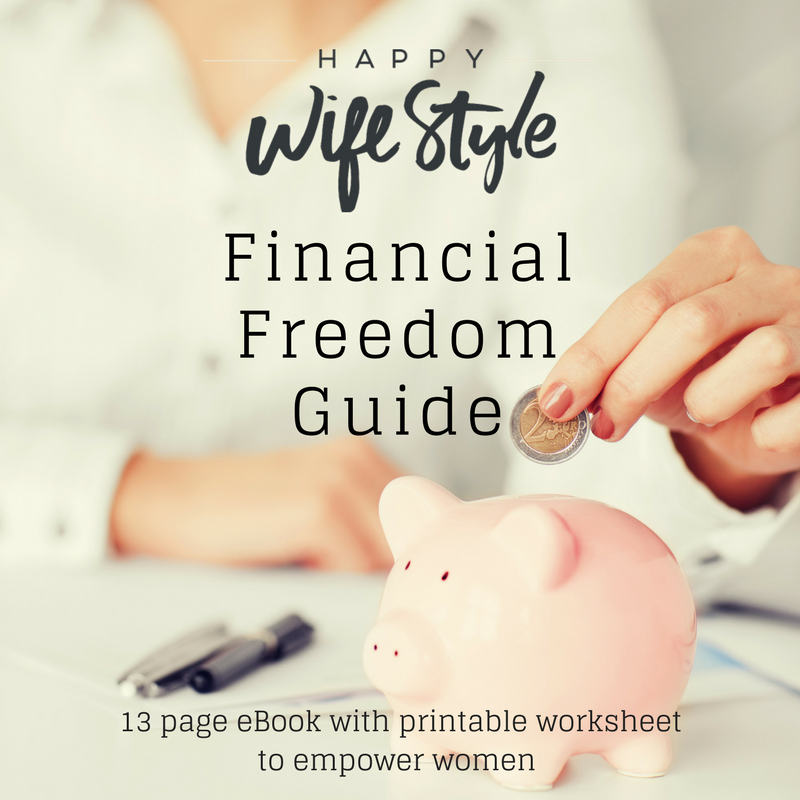 I often found myself being asked about things like nutrition, health, and fashion...so I decided to start sharing...and Happy WifeStyle™ was born in 2014. Sharing led to inspiring people...inspiring people has led to coaching...and now I've turned my little blog into a business and I couldn't imagine doing anything else. I hope to inspire you to live your happiest, most nutritious life. I hope to empower you to know that you can do anything you set your mind to. If I can do it, you can do it. Thanks for stopping by and feel free to introduce yourself! Sign up to get my Paleo + Whole30 Recipe eBook for FREE, plus a bonus coupon code for a deep discount on my Beauty Detox Nutrition Program! 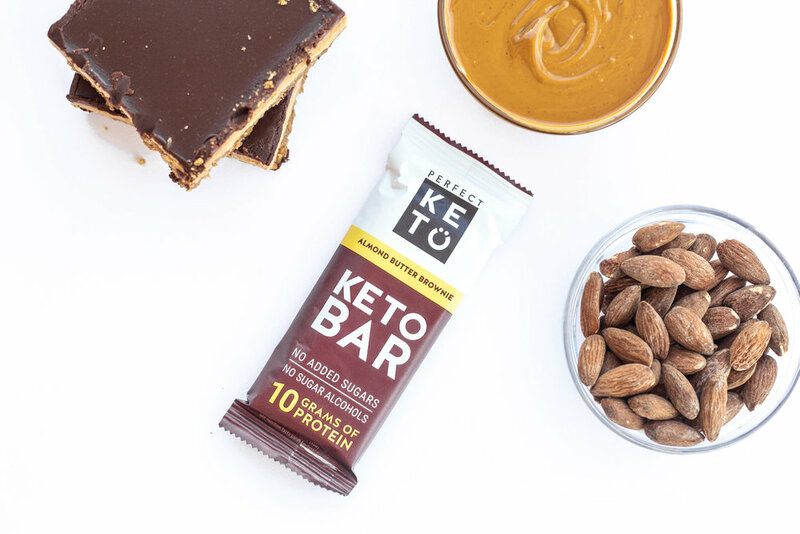 SAVE 15% ON PERFECT KETO WITH CODE HAPPY15! FREE Gift that can take you from STRESSED to SMART! Get your finances on track now with my tips and resources. Whole30 has partnered with Real Plans to make your Whole30 MEAL PLANNING easier than ever! Some of my recipes are included in their database of over 500 delicious Whole30 recipes! Click here to learn more. You can also choose Paleo or whatever style of eating you prefer! Improve Gut, Joint and Skin Health with Organic Beef & Chicken Bone Broth! Click here to shop this fresh, never-frozen bone broth that's as good as homemade! Whole30 Reintroduction: Fast Track vs Slow Roll? Is Dulse the Next Superfood? Whole30 Approved Products I love! Whole30 NSV - "I threw my scale in the trash!" Whole30 Day 1 for New Beginnings! Outfit of the Day - "Spring Casual"
Nordstom Sale picks for me! I had never heard of Origami Owl...every locket tells a story, what's yours? Shop Smarter…How to figure out "Cost Per Wear"
How to get 4 of my Favorite Beauty Products for FREE! Can we trust that our beauty products are safe? What you need to know before you shop. The best Champagne stopper - keeps it fresh for a week! How to make a gift bag out of wrapping paper! Frenchie Friday...Christmas is right around the corner!